Hackney Council have stated that they are reviewing specialist advice to prepare for the impact of Brexit on food supply chains and regulation. The advice, put together as part of the Food Research Collaboration (FRC) by City, University of London, the University of Sussex and the Chartered Institute of Environmental Health (CIEH), makes clear that every form of Brexit will affect food supplies in some way, in particular that of a no-deal scenario. The FRC report highlights the risks of price changes, reduced food availability, lower standards and safety, supply disruption, border delays, freight logistics and public disorder, and urges local authorities, which have many responsibilities relating to food supply and regulation, to prepare accordingly. Professor Tim Lang, of the Centre for Food Policy at City, said: “Setting up food resilience teams is something practical local authorities can do. The report goes on to state that resilience teams should combine expertise from both within the authority (such as environmental health officers, trading standards officers, planners, food emergency planning bodies) and experts from the NHS and business sectors. Food suppliers have been stockpiling food since March, with big retailers reported as having footballpitch-sized spaces ready to stockpile, while suppliers’ storage capacity is already taken, according to the FRC. The report notes, which was released last week, notes that the food industry may be close to the point at which it is prepared to speak out publicly about concerns, as food companies do not want to be blamed for disrupted supplies. 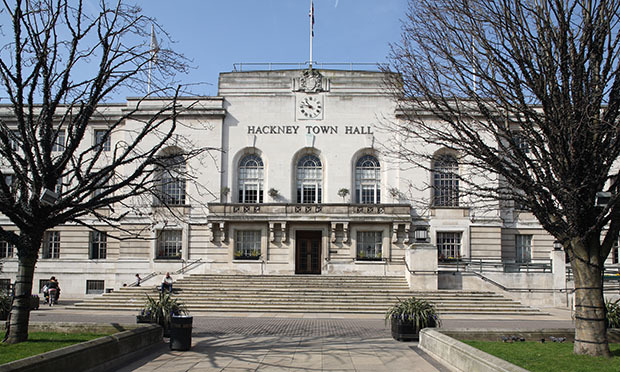 Hackney Council has stated that its preparations for the UK leaving the EU have been structured according to plans agreed by the London Resilience Partnership (LRP) Brexit Contingency Planning Group. The LRP is a mechanism for multi-agency co-operation in planning for, and reponding to, large-scale emergencies, with working groups from a wide range of sectors, including local authorities, the voluntary sector, the emergency services and the business sector. Both the LRP and the FRC are in agreement in feeling that at present a lack of information provided by central government makes it difficult to progress in contingency planning. This was said to be due to either non-disclosure agreements, commercial sensitivities, or limitations imposed within an organisation on speaking to their local remit by an already-existing national approach. A Council spokesperson said: “Though the council has not yet formally set up a food resilience team, we are in the process of reviewing the Food Research Collaboration recommendations, and will respond accordingly. “Our response will include consideration of how we are engaging with the public on the implications of the UK leaving the EU, including any potential impact on food supply and quality. “As with any consideration of potential social disorder, this will be in partnership with the police, other London boroughs, the GLA, national government and other partners. “Food inspection duties are set to continue as normal and the council will be monitoring the situation, along with other partners, for indications that different measures might need to be adopted. This is now the seventh report on the potential impact of Brexit on food supplies produced by the FRC.